. Arttique London . Night Lotus Collection . Special Edition . A symbol of beauty and purity to many, the Lotus flower brings a touch of class to the waters on which it floats. Wrapped around them are three chains of shining pearls, with Jacanas in attendance. 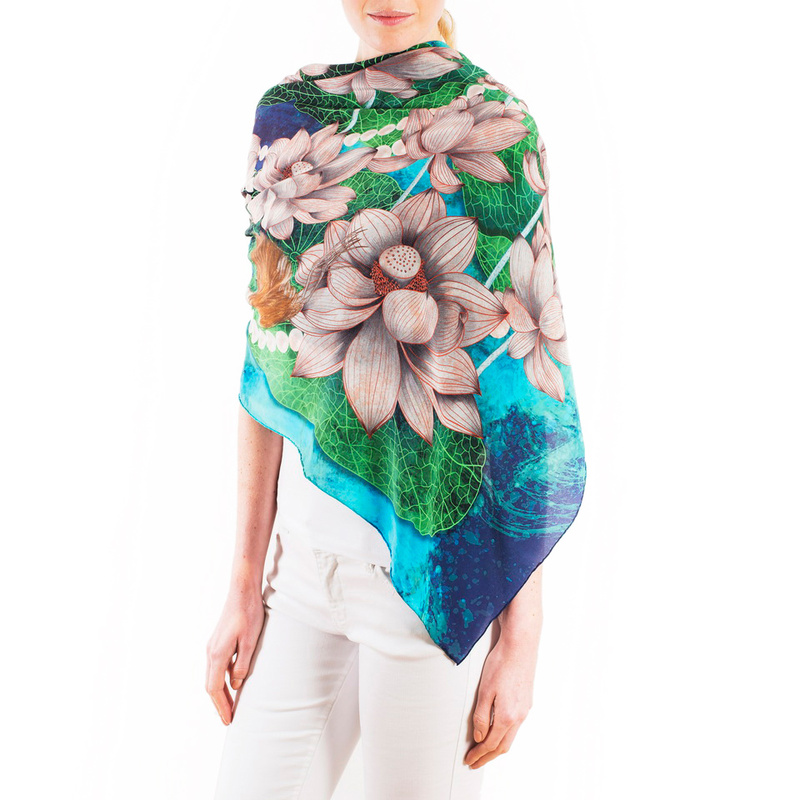 This scarf was carefully made in Lake Como, Italy, from crinkled Silk Crepe de Chine and finished with a hand-rolled hem.